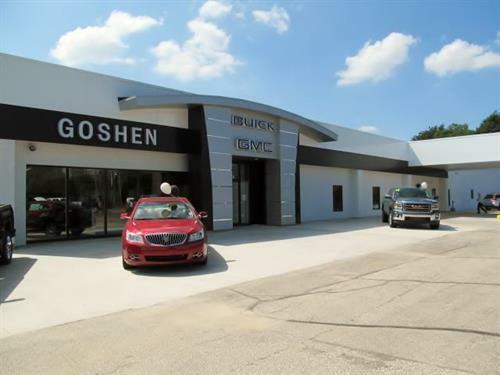 Goshen Buick GMC Hyundai is an award winning full service dealer serving Goshen and the rest of Michiana for nearly 30 years. 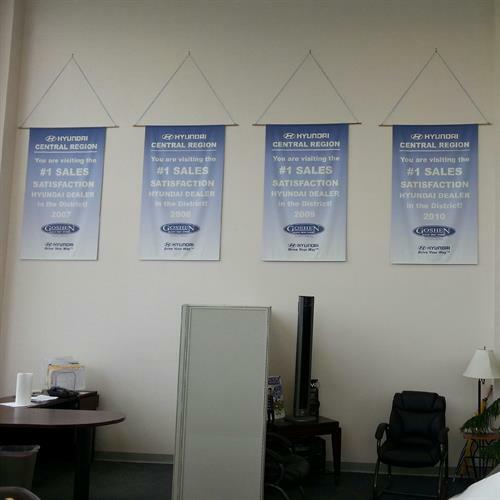 We offer sales, service, parts and collision repair for all makes and models along with a great selection of new and pre-owned vehicles. 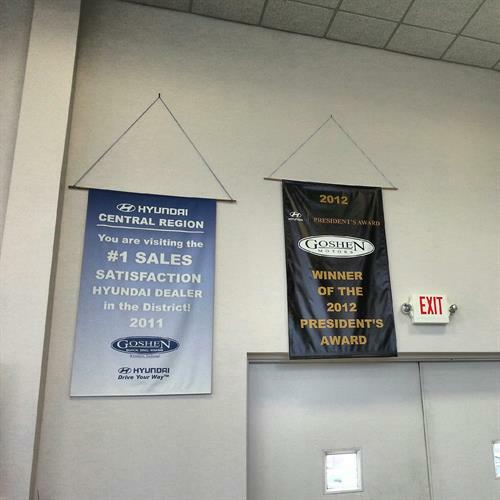 Every vehicle we offer is rated tops in the industry with Buick's longevity, GMC's ruggedness, and Hyundai's quality all backed by exceptional factory warranties, and Hyundai's 10-year/100,000 mile coverage. 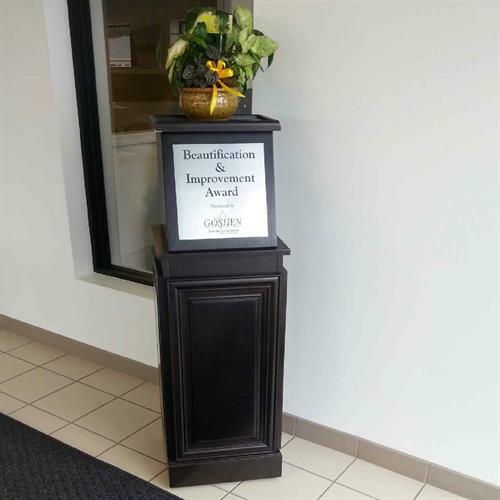 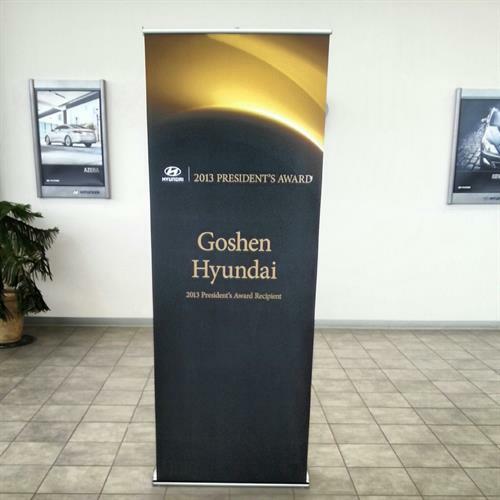 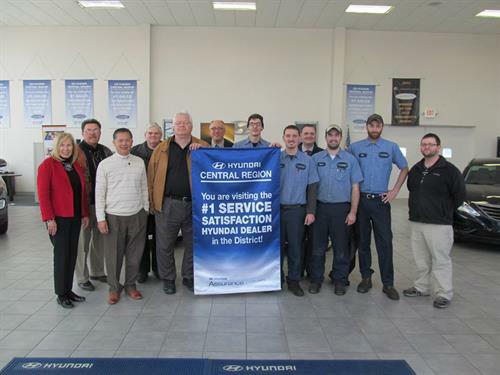 As an award winning full service dealer Goshen Buick GM Hyundai has won the Hyundai President?s Award (2012 & 2013), #1 Sales Satisfaction Hyundai Dealer in district (2007-2013), #1 Service Satisfaction in Hyundai district (1st Qt of 2014), Market of Excellent Award from GM, and many other awards highlighting our commitment to customer satisfaction.